The epitome of outdoor living. 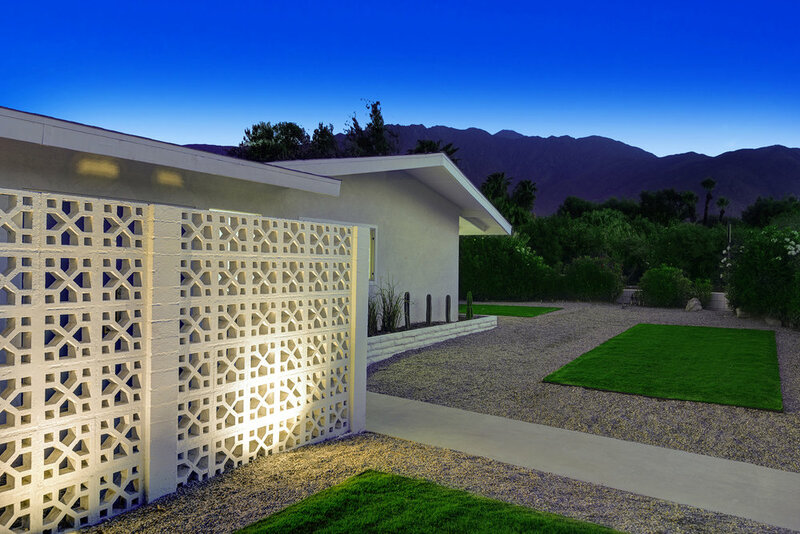 What do you think of when you think of Palm Springs? The mountains? Windmills? Palm trees? Cacti? 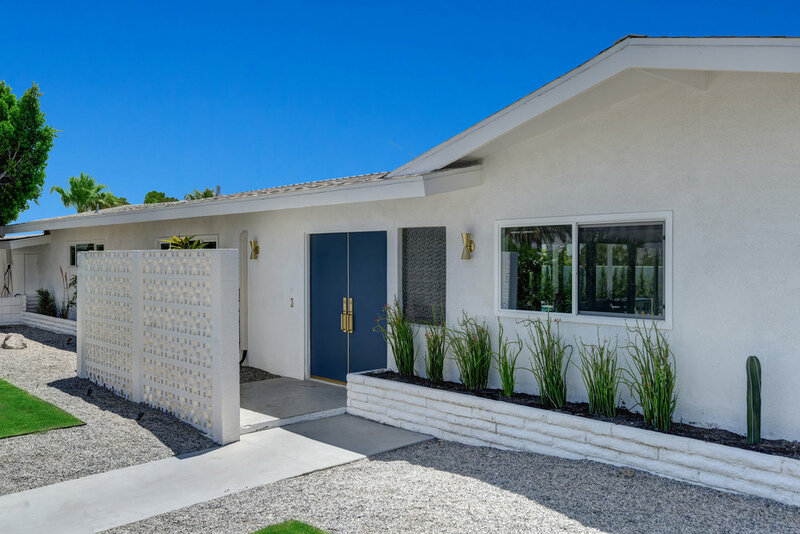 Mid-century architecture? Sun and swimming pools? Well, stay at The Weekend House™ and experience all six without leaving the house! 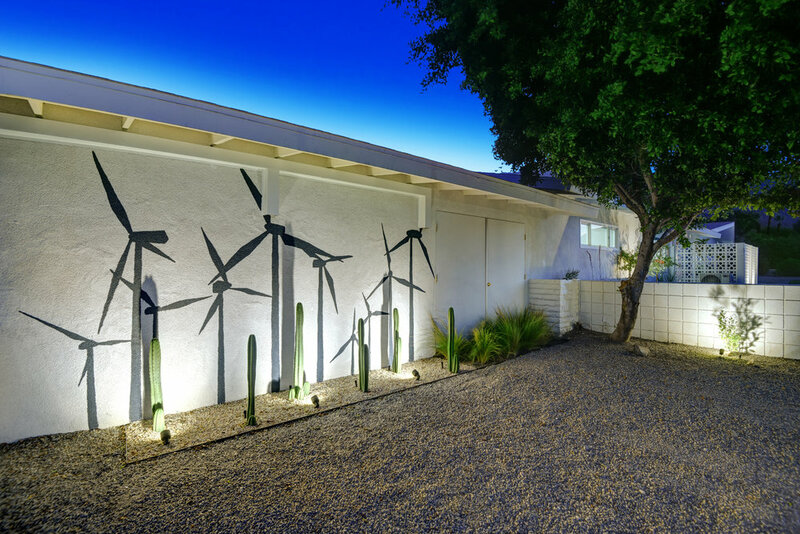 Greeting you in the driveway is our cactus windmill mural (and if you look north you'll see real ones!). Out back, a super-sized pool, surrounded by privacy hedges, and almost 360° mountain views, glistens under the almost year-round sunshine. At the foot of the pool is a gas grill and outdoor shower. At the other end, a custom-built fire pit with semi-circular seating and a long cactus garden. Lounge by the side of the pool in one of 6 sleek black lounge chairs under resort-style umbrellas. 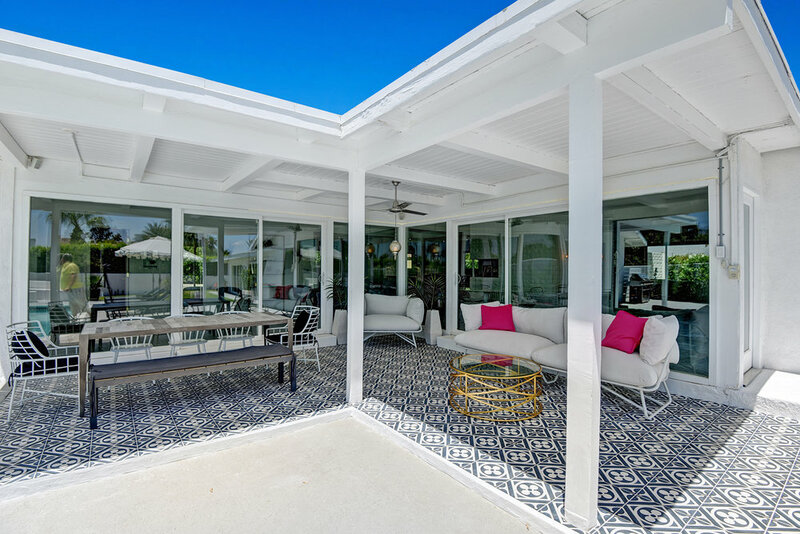 Under a covered Moroccan tile patio is a comfortable CB2/Fred Segal sofa and chair that you just sink into. At night, go star-gazing while you have dinner and drinks at the outdoor dining table for 8.